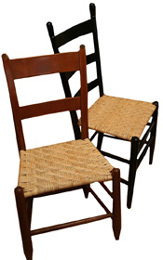 The Chair Cane Size ! Sometimes, in spite of measuring the distance between the holes and the size of the drilled hole, the chair cane size that’s supposed to work, just doesn’t work. You suddenly discover that the cane is getting tighter and you can tell that the last two rows are not going to fit. This can be due to slight variations in the spacing between the holes on part of the chair seat, or possibly holes that are irregular sizes too. This is more likely when reweaving a very old chair. The solution? Weave the first 4 rows of the pattern in the pre-determined size, as usual. 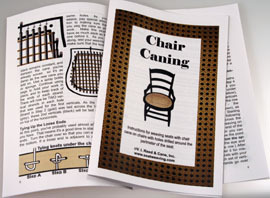 Then, switch to a smaller (narrower) size chair cane. Since the width of cane varies so slightly between sizes, it will probably be only noticeable to the experienced eye (yours!). Like Us on Facebook. Get a Coupon Code your can use Today!